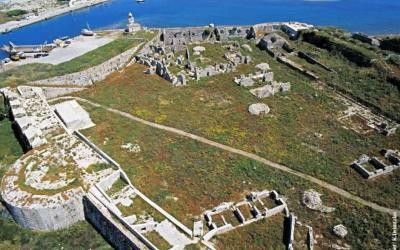 The castle of Agia-Mavra dominates the entrance of the island. It was built around 1300 by the Frank ruler John Orsini when he took Lefkada as a dowry for his marriage to the daughter of the Bishop of Epirus, Nikiforos I. A large part of it has been destroyed by earthquakes. Operating hours: Daily 8:00-15: 00 except Mondays. 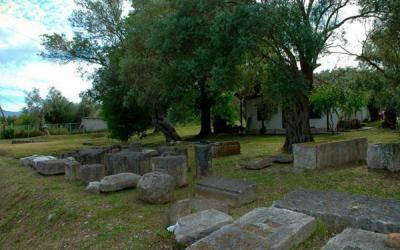 The archaeological site includes the ruins of the walled settlement of ancient Lefkada, dating back to the Ancient Roman times. There you can see two cemeteries of the ancient city, individual monuments, scattered building relics such as tombs, farmhouses and harbour facilities. It is 2 km away. 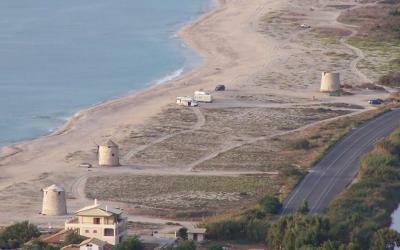 Outside the city, in the Kalligoni area and extends to Lygia. 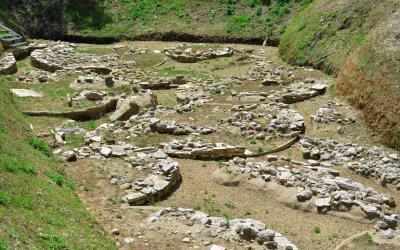 Excavations that have been conducted in the area specifically on the Hill of Koulmos refer to a very significant discovery, a great ancient theatre. This prehistoric cemetery can be found in the area of Steno, between Nidri and Vlichos, along the main road. 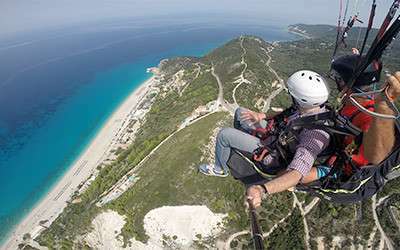 It is the most important archaeological site of Lefkada and a great prehistoric monument. 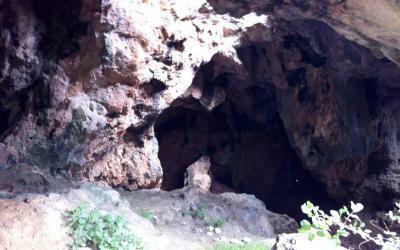 Choirospilia Cave is located south of the village of Evgiros. According to W. Dorpfeld, it is where the shed of Ulysses was once, who was a trusted shepherd of Eumeaus. In Chirospilia he had discovered objects of the Neolithic Age, which are kept in the archaeological museum of Lefkada. The grave is located on the edge of the Vlichos peninsula, along the path leading to the chapel of St. Kyriaki. 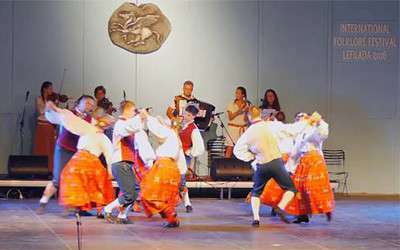 The German archaeologist Wilhelm Dorpfeld excavated in various parts of Lefkada and enthusiastically supported the theory that Homer’s Ithaca is the island of Lefkada in his epic poem Odyssey. 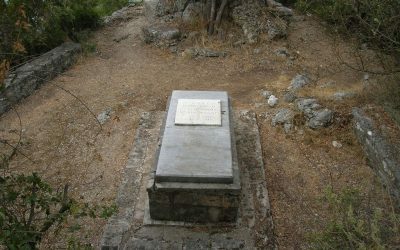 He died on April 25, 1940 in Lefkada. 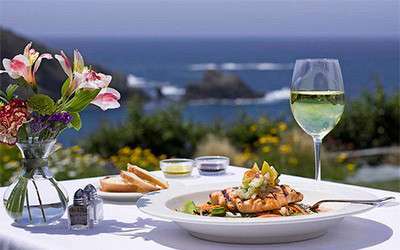 An attraction not to be missed by nature lovers or not. 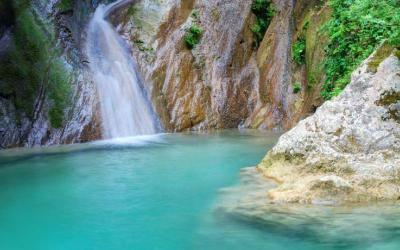 Leave the car in the parking area and after a 15-minute hike under trees, between rocks, over streams and next to small ponds you will arrive at the highest point of the waterfall. If you can handle the cold water, swim! *Tip: Wear comfortable shoes and not flip-flops. “The chapel of rock” is a small white church built on top of a cliff across from the cosmopolitan Nydri and the bay of Vlicho. The Chapel can be visited either by sea with a boat from Nydri or by car from the village of Geni. Follow the small path on the edge of the cliff while enjoying the wonderful landscape and the turquoise sea. The tomb of Wilhelm Dorpfeld can be found here. 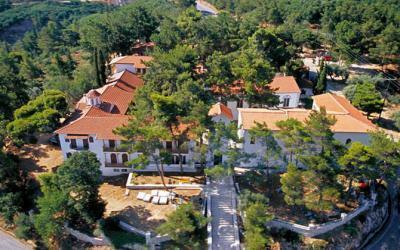 The unique monastery of our island is still in use and is located above the city of Lefkada on a lush pine-covered hill. 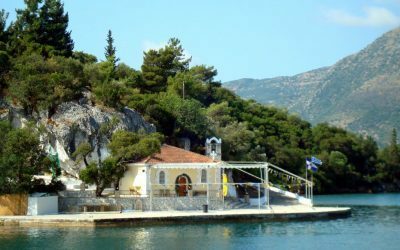 On the Monday of the Holy Spirit the patron saint and protector of the island is celebrated, crowds of pilgrims visit from every corner of Greece. Don’t forget to visit the Ecclesiastical Museum of the Monastery which is located in the basement with the Maritime Museum and exhibits handmade wooden phantoms boat and nautical instruments. As you leave you will enjoy the wonderful view of Ag. Ioannis and Gyra, which is simply breathtaking. Summer months: 2 pm – 4 pm closed. An impressive cave, where the submarine Papanikolis found refuge in WWII. 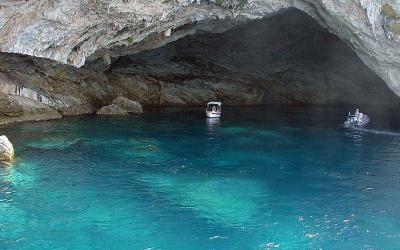 It is considered to be the biggest sea cave in the world and is located at beautiful Meganissi. This site can only be visited by boat which leaves from Nydri. 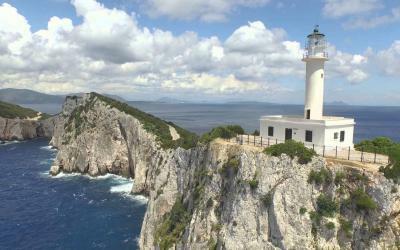 The most southerly part of Lefkada is where the Lighthouse and Cape of Lefkata is located. In ancient times there once stood a shrine to the Greek god Apollo. According to mythology, it is here that the great poet Sappho jumped to her death due to her unrequited love for Phaon. The wild beauty of the landscape will leave you in awe. Try to visit early evening so you can experience the sunset from the lighthouse, a spectacular moment. Across from the cosmopolitan Nydri are the Princes’ Islands, a small cluster of islands. 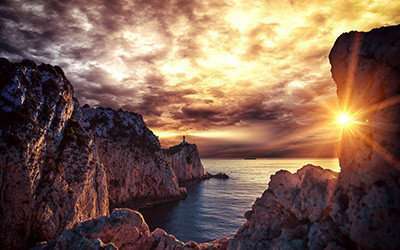 Scorpios the most well-known island of legendary Aristotle Onassis, now is the property of the tycoon Dmitry Rybolovlev. 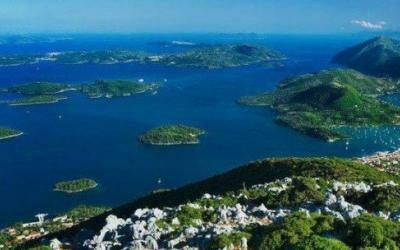 Madouri is the island of the poet Aristotle Valaoritis, Sparti, Heloni and Skorpidi. Rent a boat to navigate and to swim in the turquoise waters around them. Undoubtedly one of the most beautiful landscapes of the island is the lagoon with a backdrop of the windmills. Enjoy the unique sunset on a stroll or during a bike ride around the lagoon.